Multiple Personality disorder (MPD) is also known as Dissociative Identity Disorder (DID). 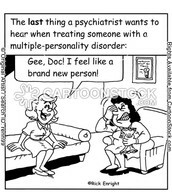 Dissociative identity disorder is a mental illness that involves the person who is suffering from this disorder to experience at least two clear identities or personality states, also called alters, each of which has a fairly consistent way of viewing the world. Researchers have found that people who suffer from DID have a distinct way of reacting, in terms of emotions, pulse, blood pressure, and blood flow to the brain. Things that can cause this disorder is some type of abuse in one's childhood, and post traumatic stress. 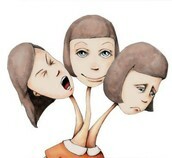 Symptoms of depression, anxiety, passivity, dependence and guilt may be present. In childhood, problem behavior and an inability to focus in school are common. Self-destruction and aggressive behavior may take place when people suffer from DID. Visual or auditory hallucinations may occur and of course someone who has at least two known identies within that one person. The primary treatment for DID is long-term psychotherapy with the goal of deconstructing the different personalities and uniting them into one. Other treatments included cognitive and creative therapies. Although there are no medications that specifically treat this disorder, antidepressants, antianxiety drugs or tranquilizers may be prescribed to help control mental health symptoms associated with the disorder. There is no cure for treatments, but if the patient stays commited, treatment can be successful. 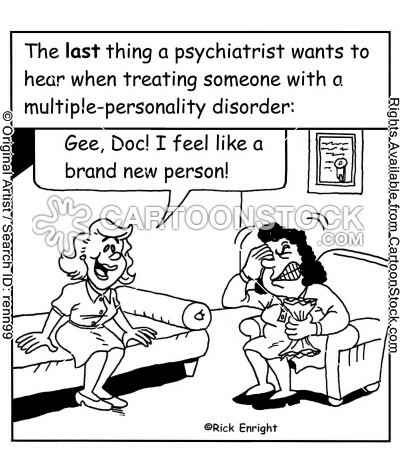 In conclusion we know Multiple Personality Disorder can be a difficult disorder to deal with, with both patient and the family. The patient experiences Multiple changes, they talk to people, their family and claim to be someone else inside their own body, its kinda like theyre trapped. The patient can also experience depression and other types of health/mental issues. With tratment the individuals who suffer form MPD can get better in some way but can never full become themselves again, there is no cure only treatments.